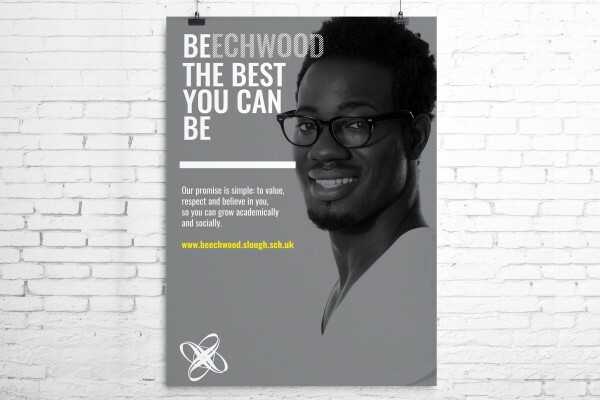 Beechwood is a secondary school and sixth form with the vision, enthusiasm and commitment to enable young people to make most of their abilities and talents and achieve great things. Working with brand strategy expert Matthew Grenier we were tasked with the challenge of designing a word mark logo which would connect to a flowing prose. 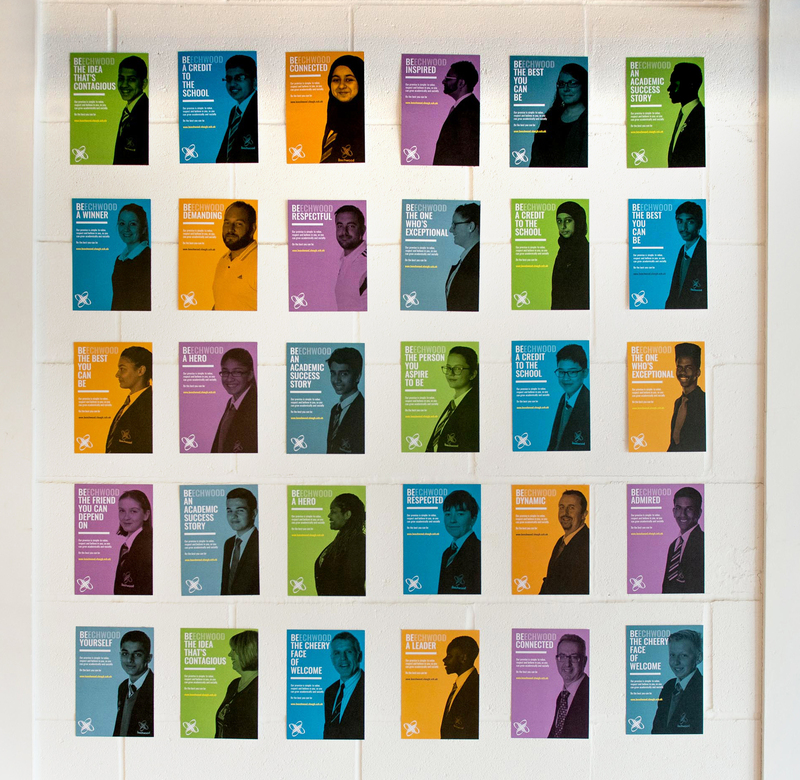 This played a central part in the new branding and poster campaign for which we were also commissioned for the photography of all students and teachers. As you can see we were really delighted with the results. 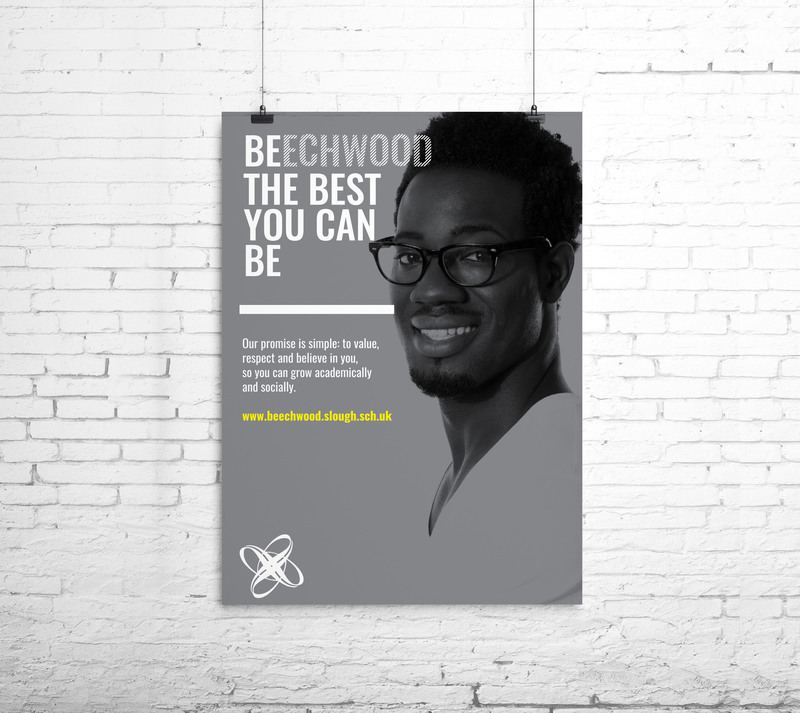 The new brand identity has been well received universally, not only internally but also within the community at large where this project is helping to promote the school and its fantastic facilities.